Why does drinking alcohol boost your risk of cancer? By damaging the DNA in your stem cells, a new study suggests. And if your face flushes red after you sip half a bottle of beer, like many Asians, you could be getting way more DNA damage than other people. Why does drinking alcohol boost your risk of cancer? By damaging the DNA in your stem cells, a new study suggests. 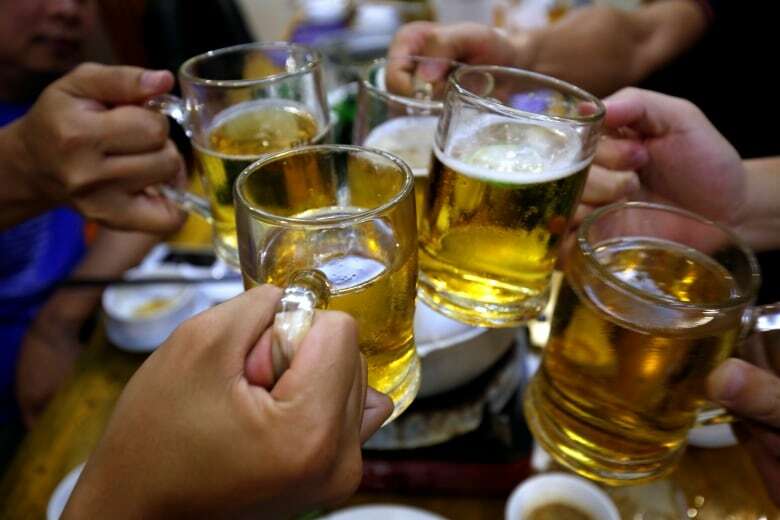 And if your face flushes red after you sip half a bottle of beer, like many Asians, you could be getting way more DNA damage from a night of drinking than other people. The British study found that mice exposed to a dose of alcohol roughly equivalent to a person drinking four or five pints of beer have observable DNA and chromosome damage in their blood cells afterwards. And mice with the gene responsible for the "Asian flush" or "Asian glow" in humans show four times more DNA damage after a single dose of alcohol, reports the new paper published last week in the journal Nature. That's equivalent to the amount of DNA damage seen in normal mice after they're irradiated. "If you carry the flushing mutation, alcohol could be very damaging to you," says Ketan (KJ) Patel, a professor with the MRC Laboratory of Molecular Biology at Cambridge University in the United Kingdom, who led the study. It was funded by the Medical Research Council in the U.K., the Jeffrey Cheah Foundation, Cancer Research UK, the Wellcome Trust and King's College, Cambridge. Because DNA damage can lead to cancer, the findings could help explain why alcohol is linked to cancer in humans — even those without the flushing mutation. According to the World Health Organization, alcohol use is a risk factor for cancers of the mouth, pharynx, larynx, esophagus, liver, colorectum and breast, and in 2010, alcohol-related cancers caused 337,400 deaths worldwide. The Canadian Cancer Society says as many as 10,700 Canadians were diagnosed with cancer linked to their alcohol consumption in 2015. 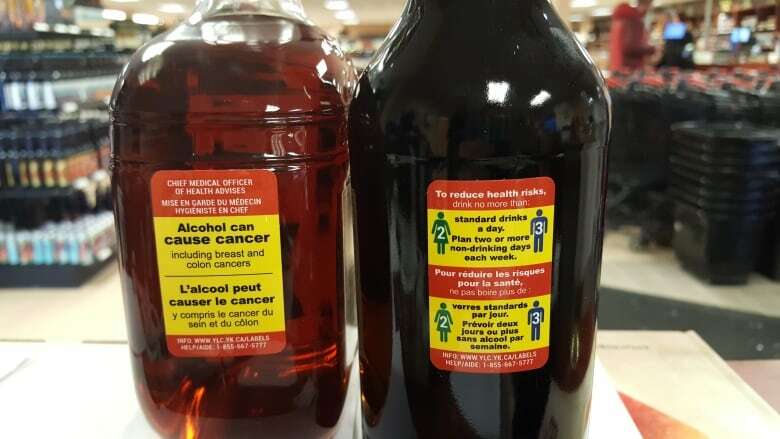 Recently, a government-backed university study even started testing cancer warning labels on liquor bottles, although that experiment has been temporarily halted. The good news is that the body does have a system for repairing the DNA damage caused by alcohol, which was also observed at work in the study. Patel says that people with the flushing mutation, "if they choose to drink a particularly large dose of alcohol, are entirely dependent on this repair system to fix this." 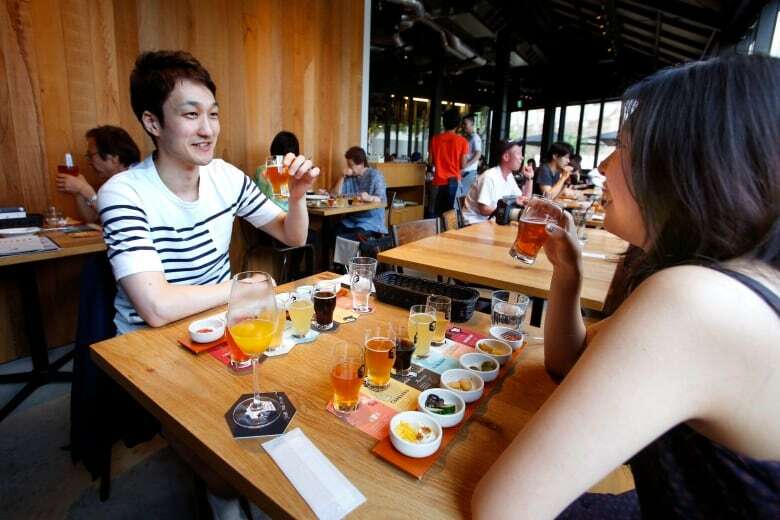 And while the system can handle the amounts of alcohol normally produced in the body by the fermentation of partially digested food in your gut, it can become overwhelmed when you drink, he said. That may help explain why people with the flushing mutation are six to 10 times more likely to develop alcohol-related esophageal cancer than people who don't have the gene and drink a comparable amount. When you drink alcohol, it's broken down by cells into a highly toxic compound called acetaldehyde. In most people, acetaldehyde is processed by an enzyme called aldehyde dehydrogenase 2 (ALDH2) and does little harm. But about 540 million people around the world — including about 36 per cent of East Asians — carry a mutated copy that isn't fully active. 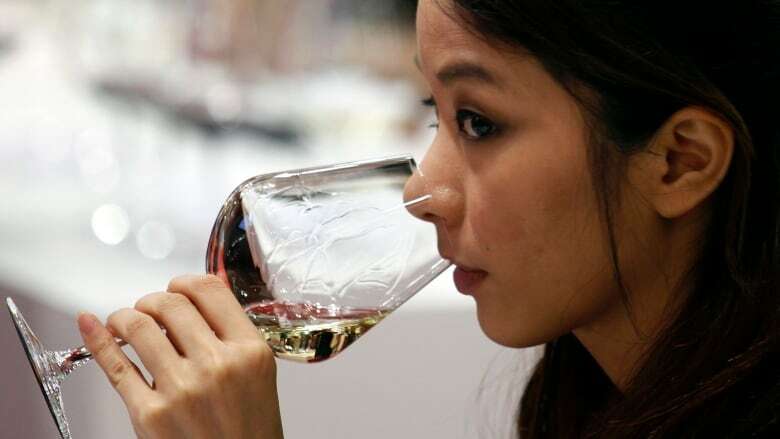 Those who don't have any ALDH2 activity get sick with even a tiny amount of alcohol and tend not to drink, Patel said. But many others have five to 20 per cent activity, and may put up with the flushing and drink. Experiments have previously shown that aldehydes chemically damage DNA and the DNA cells. But Patel says his study is the first to show how this happens in a living animal. 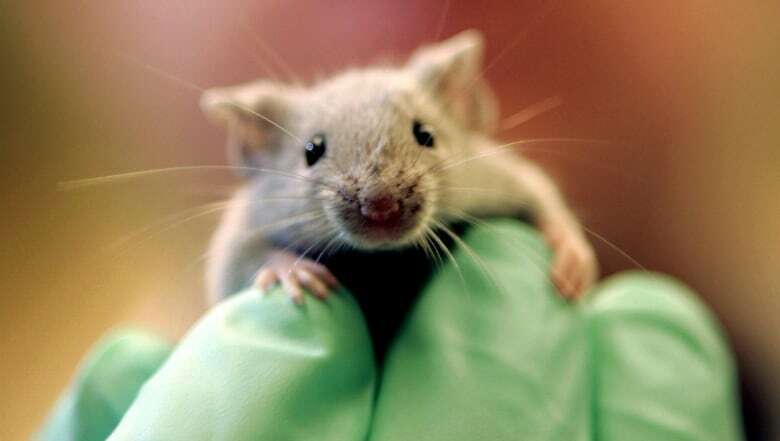 The experiment also included mice with a mutation that prevents DNA repair. In humans, this mutation causes a deadly disease called Fanconi's anemia that leads to blood cancers and bone marrow failure in children. By looking at the effect of alcohol on those mice, the researchers traced the DNA damage to blood stem cells. In mice that were missing genes for both ALDH2 and the DNA repair system, that DNA damage in the stem cells caused bone marrow failure and death after a single dose of alcohol. Patel noted that some cancers develop due to DNA damage in stem cells, and drinking alcohol may increase the risk of that damage. Of course, the study, leaves some unanswered questions. For example, alcohol has this effect on blood cells, why isn't it linked to an increased risk of blood cancers? Patel says that's probably because the body has a very efficient system for destroying most DNA-damaged stem cells in the blood. However, he says there's lots of evidence that alcohol damages blood production. Nor does the study explain how alcohol causes other cancers. Patel says he'd like to investigate whether stem cells in the breast and mouth also get DNA damage the way blood stem cells do when exposed to alcohol either directly or via the blood. Steven Narod, a professor at the University of Toronto who holds a Canada Research Chair in Breast Cancer, called the research interesting and "pretty solid." But he noted that it was done on mice in a controlled laboratory setting rather than humans in the real world. "Personally, I don't think this has anything to do with human beings," he added. He said his own research has previously found no link between alcohol and breast cancer in epidemiological studies of women with a genetic mutation that impairs DNA repair — which isn't what you'd expect based on the results of Patel's study. However, Shiva Singh, a professor of molecular genetics at Western University who studies the genetics of alcoholism, fetal alcohol syndrome, cancer and other diseases in both mice and humans, thinks the new study is "very applicable" to humans, since the genes and physiology involved function very similarly in humans and mice. He said previously scientists knew that alcohol was toxic and damaged DNA, but this study illuminates in detail how that happens in the body. That could help lead to methods to prevent or deal with the damage, he added, and point to studies that could be done looking at other effects of alcohol damage, such as fetal alcohol spectrum disorder, in different populations, such as people with the flushing mutation. An earlier version of this story said the mice were given a dose of alcohol equivalent to a person drinking half a bottle of whisky. In fact, according to researcher KJ Patel, the dose would have given them a blood alcohol level equivalent to a human who had consumed a quarter of a bottle of whisky or four or five pints of beer. 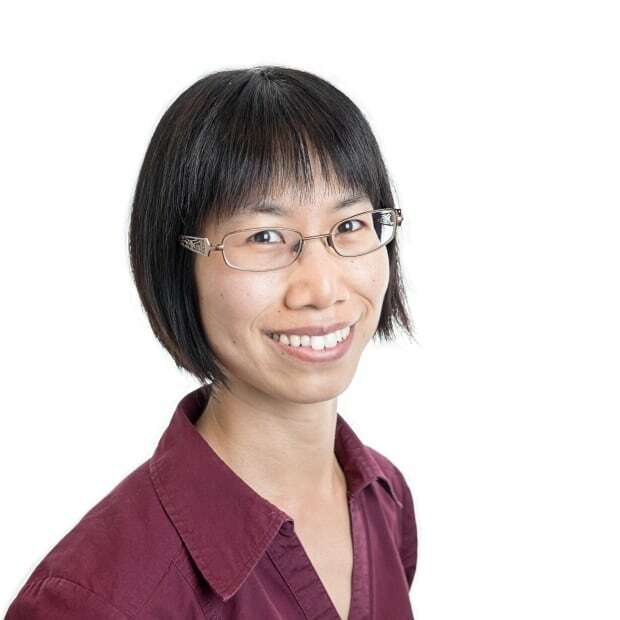 Emily Chung covers science and technology for CBC News. She has previously worked as a digital journalist for CBC Ottawa and as an occasional producer at CBC's Quirks & Quarks. She has a PhD in chemistry.